Sri Jagadguru Jagannathacharya Tridandi Swami is the great vaishnava Guru of Ramanuja tradition and serves as the head of the Sri Vaishnava Sevashram and other ashrams situated in India. Swami ji was adopted with consecration in Vaishnavism from Sri Swami Damodaracharya who comes in the lineage starting from Sri Ramanuja. He travels all over India expounding Ramanuja’s philosophy, the Bhakti Yoga. Yogi Ravish is a bonafide yoga teacher. 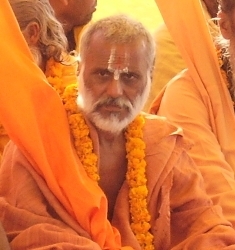 He was born in a city on the bank of Ganges into a Brahmin family. 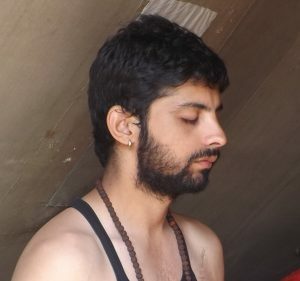 From the young hood, he spent most of his time in sadhana, meditation, and yoga. He had done Post graduate in yoga and practice vedic karma kands and astrology by great spiritual teachers.